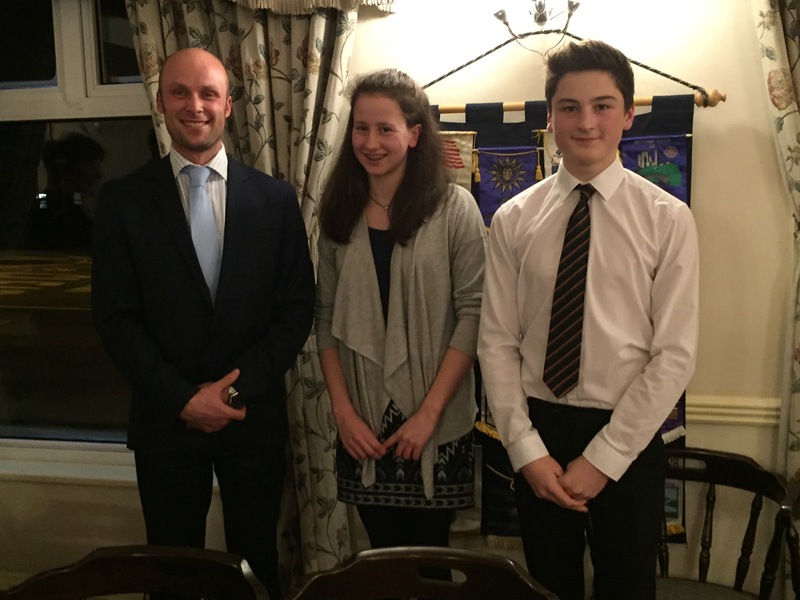 In 2012, in recognition of the London Olympics, the two Rotary clubs in Sherborne decided to offer a bursary to two youngsters from the Gryphon School, each year until the Rio Olympics in 2016. Now for the fourth year two talented young sports people have been selected, against very strong completion, as our 2016 winners. This week these two committed youngsters had a meal with us at our club meeting and gave us a short presentation of their sport. Jasmine Moore described how swimming is a way of life for which she trains every day, with a schedule which has allocated slots for rest and recovery. For Angus Buckland rugby is the only thing and he has a set of goal which he aims to achieve, with the talent and enthusiasm to ensure that he does.